Are you ready to do business in a digital way for the digital age? In our digital age all companies must change how they think, change how they interact with customers, partners, and suppliers, and change how the business works inside. Customer, partner, and supplier expectations have changed and a gap is opening between what they expect from their interaction with companies, and what those companies are currently able to deliver. Companies must immediately work to close this expectation gap or the entire business is at risk. There are groups of digital natives out there that are extremely capable, have greater access to capital than ever before, and are very likely to re-imagine your business and your entire industry from the ground up if you don’t start making the necessary changes in your business to eliminate the opportunity. If they attack, they will do it with a collection of digital strategies that utilize the power of the digital mindset to more efficiently and effectively utilize the available people, tools and technology, and to design better, more seamlessly interconnected and automated processes that can operate with only the occasional human intervention. If I were to build this business today, given everything that I know about the industry and its customers, and given all of the advances in people, process, technology and tools, how would I design it? From the customers’ perspective, where does the value come from? What structure and systems would deliver the maximum value with the minimum waste? What are the barriers to adoption and the obstacles to delight for my product(s) and/or service(s) and how will my design help potential customers overcome them? Where is the friction in my business that the latest usage methods of people, process, technology, and tools can help eliminate? There are of course potentially other questions you may want to ask, but these five should get you most of the way to where you need to go in your initial strategic planning sessions. If you have other key questions that you think I’ve missed, please add them in the comments. But how much appetite for going digital do you have? This is where the question of digital strategy versus digital transformation comes in. The two terms are often misused, in part by being used interchangeably when they are in fact two very different things. A digital strategy is a strategy focused on utilizing digital technologies to better serve one particular group of people (customers, employees, partners, suppliers, etc.) 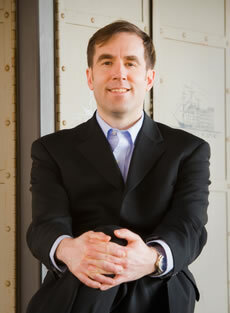 or to serve the needs of one particular business group (HR, Finance, Marketing, Operations, etc.). The scope of a digital strategy can be quite narrow, such as using digital channels to market to consumers in a B2C company, or broader, such as re-imagining how marketing could be made more efficient through the use of digital tools like CRM, marketing automation, social media monitoring, etc. and hopefully become more effective at the same time. The optimal use of the other three to liberate the PEOPLE that work for you to spend less time on bureaucratic work and more time imagining the changes necessary to overcome barriers to adoption and obstacles to delight through better leadership methods, reward/recognition systems, physical spaces, collaboration and knowledge management systems, etc. And ends with a plan for making the transformation from the old way of running the business to the new way. The planning of the digital transformation is of course all done collaboratively on paper, whiteboards, and asynchronous electronic communication (hopefully not email, but more on that later). The goal is to think like a digital native, to think like a startup, to approach the idea of designing a company to utilize all of the advances in people, process, technology and tools to kill off your own company (at least as you know it). Because, if you don’t re-invent your company now and set yourself up with a new set of capabilities that enable you to continuously re-invent yourself as a company, then some venture capitalist is going to see an opportunity, find the right team of digital natives, and give them the necessary funding to enter your market and re-invent your entire industry for you. People are fascinated with startups like Uber and with good reason because they have changed the lexicon and the way that we think about entire categories of products and services. Whether or not you believe there is causation, the fact remains that Yellow Cab in San Francisco filed for bankruptcy, and that Uber has placed an immense amount of pressure on taxi and airport limousine companies. But you should also be looking at what established technology companies like Amazon are doing because established technology companies are looking for growth and new markets too, and they might decide yours looks attractive, so you have to think like a technology company or go out of business. One way that technology companies differ from non-technology companies is that they naturally focus on the interfaces, because that is where complex systems often fail. And so, if you are pursuing a digital strategy on your way to a digital transformation, you must first pick an interface, and then optimize the experience at that interface. 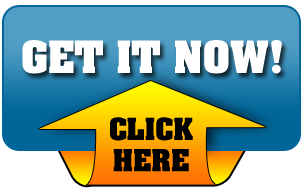 It could be the interface between the company and customers, it could be the company to employee or employee to employee interface, or even the company to partner or company to supplier interface. Whatever interface you choose, your goal is to ultimately look at that interface with a fresh modern lens, and then utilize all of the latest (and emerging) approaches from a people, process, and technology perspective, to create a more efficient and more effective (aka better) experience. The better job you do as an organization at removing friction at the interfaces, the more likely you are to become a partner of choice, supplier of choice, employer of choice, and/or a brand of choice. The value of becoming any or all of these could be the difference between the survival and growth of the organization, and a slow, agonizing death at the hands of a new, digital entrant or a digitizing incumbent that completes a digital transformation before your leadership team can agree it’s even necessary. 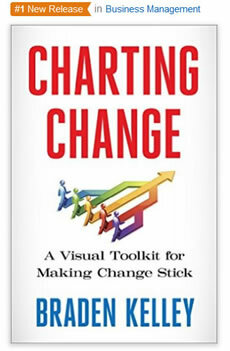 One thing that both a digital strategy and a digital transformation have in common is that they will inflict change (in varying amounts) upon the organization, and with a more visual, collaborative approach to planning that change – like that enabled by the Change Planning Toolkit™ that I introduce in my new book Charting Change (available February 24, 2016) – you will increase your odds of beating the 70% change failure rate and of successfully achieving your digital change goals. As you plan your change efforts it helps if you keep in mind the Five Keys to Successful Change™ and that you consider Architecting Your Organization for Change. Below you will see visualizations of both concepts and both are available as free downloads from the Change Planning Toolkit™, which is a collection of frameworks, worksheets, and other tools (including the Change Planning Canvas™). One thing that should immediately jump out as you look at the Architecting the Organization for Change framework is that The Five Keys to Successful Change™ are embedded it. 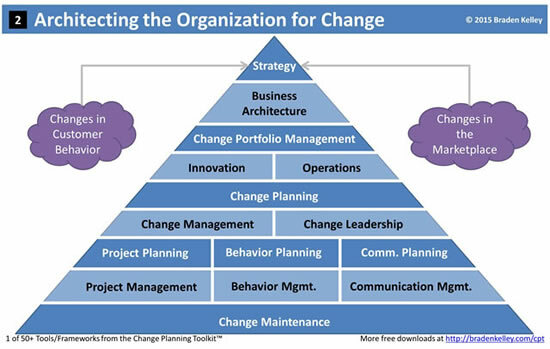 Change Maintenance forms the foundation of a change-centric organization, ensuring that the changes necessary to ensure a healthy firm continue to persist (or are “maintained”), while the top of the organizational pyramid is driven by a conscious strategy that evolves over time, informed by changes in customer behavior and changes in the marketplace. The strategy of the firm then determines the appropriate business architecture, and as the organization’s strategy changes, the business architecture may also need to change. Any necessary changes in the architecture of the business (new or updated capabilities or competencies) then will lead to modifications to the portfolio of change initiatives and projects (and remember every project is a change effort). These projects and initiatives will consist of innovation initiatives and efforts to create positive changes in the operations of the business. 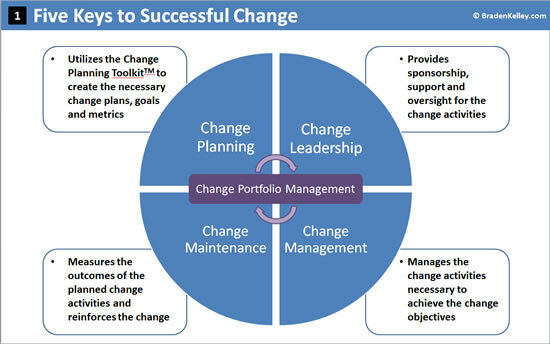 The change efforts and projects identified as necessary and invested in as part of the change portfolio then represent projects that impact the innovation and operations for the firm, and in order to successfully execute them in the short term includes change planning, management, and leadership, and in the longer term the maintenance of the required changes. And for the change efforts and projects to be successful the organization must also focus on project planning and management, behavior planning and management, and communications planning and management. The related projects, behaviors, and communications must all be effectively planned and managed in a way that keeps all three in sync. I hope you see that by increasing your focus on the Change Planning discipline and through increased use of tools like the Architecting the Organization for Change framework from the Change Planning Toolkit™, your business will be able to more collaboratively and visually plan change efforts as large as a digital transformation or as small as a digital strategy and to increase your organizational agility. 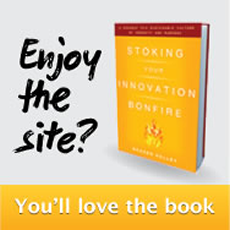 More on organizational agility soon, so stay tuned! In the meantime, please get yourself a copy of Charting Change as a hardcover (ebook coming soon) and get your free downloads from the Change Planning Toolkit™ (or go ahead and purchase a license now). This entry was posted in Change, Design, Strategy, Technology and tagged digital, digital strategy, digital transformation, future, people, Process, technology, Tools, Trends. Bookmark the permalink.